In an excerpt from The Rebellion of Ronald Reagan, Suzanne Massie, a special advisor to President Reagan on Soviet policy secretly influences America’s relationship with Moscow. In forming his perceptions of the Soviet Union, Ronald Reagan had a friend—a well-dressed, attractive, Russian-speaking, fifty-year-old woman whose ideas about what was happening in Moscow and Leningrad made a bigger impression upon the president of the United States than the reporting and analysis of the Central Intelligence Agency. Her name was Suzanne Massie. She was a writer and author, not an established Soviet scholar. She first met the president on January 17, 1984, when National Security Adviser Robert C. McFarlane brought her into the Oval Office to give Reagan a report on a recent visit to the Soviet Union. They hit it off immediately. Read James Mann on Ronald Reagan’s inner dove. I have some thoughts about this [the situation in Leningrad] that I would like to share with you informally. Is there anyway [sic] that we could do this alone, or best of all, with Mrs. Reagan, whom I have always wanted to meet? Shrewd in the ways of power, Massie no doubt recognized that Nancy Reagan could be a powerful ally and supporter. Mrs. Reagan did in fact join her husband a couple of times for conversations with Massie, but never developed the same warm relationship with her as the president did. In an interview for this book, Nancy Reagan looked back with chilly detachment at Massie and the role she played. “She was pushy,” Mrs. Reagan observed tersely. Nancy Reagan made sure, however, that Massie was invited to major ceremonial events, including the 1987 White House state dinner for Mikhail Gorbachev and, many years later, Ronald Reagan’s funeral. Massie was grateful for these invitations. She recognized that everyone considered Nancy Reagan to be a tough operator, but Massie believed this was a role Mrs. Reagan was obliged to play in order to offset her husband’s habitual congeniality and his dislike of confrontation. She compared the situation to a doctor’s office. “You know how always when there’s a wonderful gynecologist, he’s got a nasty nurse?” Massie asked. Massie recognized that everyone considered Nancy Reagan to be a tough operator. She compared the situation to a doctor’s office. “You know how always when there’s a wonderful gynecologist, he’s got a nasty nurse?” Massie asked. Massie served other purposes as well. Reagan occasionally used her trips to the Soviet Union for back-channel diplomacy. The histories and memoirs of Soviet-American relations during the Reagan years, such as the books by Matlock and Secretary of State George P. Shultz, give short shrift to Massie. However, the declassified files of the Reagan administration show that at a couple of junctures, she played a more significant role than these histories described: She carried messages back and forth to Moscow concerning the timing, circumstances and conditions of Reagan’s summits with Gorbachev. Her interlocutors in Moscow included an official from the KGB. Eventually, Massie’s direct access to Reagan became so threatening to others in the U.S. government that they campaigned against her, warning in secret memos that the KGB might somehow be using her to influence the president. The Suzanne Massie saga offers a lens to examine Ronald Reagan’s own ideas, instincts and inclinations concerning the Soviet Union. In evaluating the Reagan administration and in particular its policies towards the Soviet Union, it is sometimes hard to distinguish which elements are distinctly Reagan’s and which represent merely his approval of what others were doing. Some parts of Reagan’s arms-control diplomacy, for example, were largely the work of foreign-policy advisers such as Shultz, who had been carefully nudging Reagan since 1983 to try to seek some agreements with Moscow. Reagan’s political advisers and friends also influenced him on Soviet policy—above all, Nancy Reagan, who years later admitted, “Yes, I did push Ronnie a little” into negotiations with Gorbachev. Yet Reagan’s continuing use of Massie was his own doing. He chose to meet with her and listen to her, from among all the scholars and experts available to him; and so it is worth exploring where she came from, what she represented and what ideas about the Soviet Union made her of interest to Reagan. Reagan’s contacts with Massie are also significant because they illuminate how the president’s outlook on the Soviet Union evolved during his later years in the White House. In 1984, when Massie was introduced to Reagan, a national security adviser (McFarlane) was attempting to use her to moderate the president’s hawkish inclinations. Conversely, three years later another national security adviser (Carlucci) sought to curb Massie’s access to Reagan because of concerns that Reagan was becoming too dovish towards the Soviet Union. Throughout this period, Massie herself remained a constant; she continued to say the same things about Russia and its people. But the president’s ideas about the Soviet Union altered considerably. Massie didn’t cause this change. Rather, her continuing trips to the White House were a reflection of Reagan’s own odyssey. 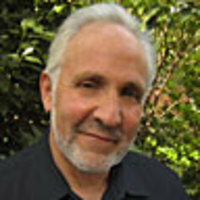 James Mann, a former Los Angeles Times correspondent, is author-in-residence at Johns Hopkins School of Advanced International Studies. His previous books include Rise of the Vulcans: A History of Bush's War Cabinet.